A meeting of the Americas Region of the Egmont Group of Financial Intelligence Units took place April 10 and 11 in Miami, Florida. Mr. Mariano Federici, President of Argentina’s Financial Intelligence Unit (the Unidad de Información Financiera, or UIF) , and Mr. Luc Beaudry, Assistant Director of Canada’s Financial Transactions and Reports Analysis Centre (FINTRAC), co-chaired the meeting in their role as Regional Representatives. 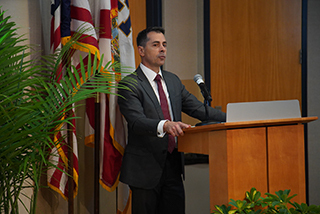 FinCEN Director Kenneth A. Blanco acted on behalf of the host nation. 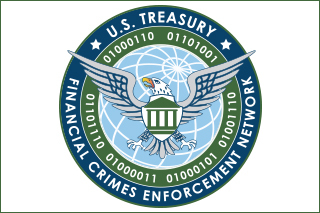 WASHINGTON—The Financial Crimes Enforcement Network (FinCEN) has assessed a civil money penalty against Eric Powers for willfully violating the Bank Secrecy Act’s (BSA) registration, program, and reporting requirements. Mr.
WASHINGTON—As a result of a working group established by the U.S. Department of the Treasury’s Office of Terrorism and Financial Intelligence and the Federal depository institutions regulators, the Financial Crimes Enforcement Network (FinCEN) and its regulatory partners today issued a joint statement to encourage banks and credit unions to take innovative approaches to combating money laundering, terrorist financing, and other illicit financial threats.